Hi there! My name is Roselinde and I’m a digital storyteller from the Netherlands with an undying passion for travel and photography (and ice cream). My motivation for exploring new places is to discover other perspectives. I truly believe I learn the most when I explore unfamiliar places and experience different cultures. I’m sharing that personal journey on this blog. You won’t mind if I take you along for the ride, right? When and why did I start my blog? 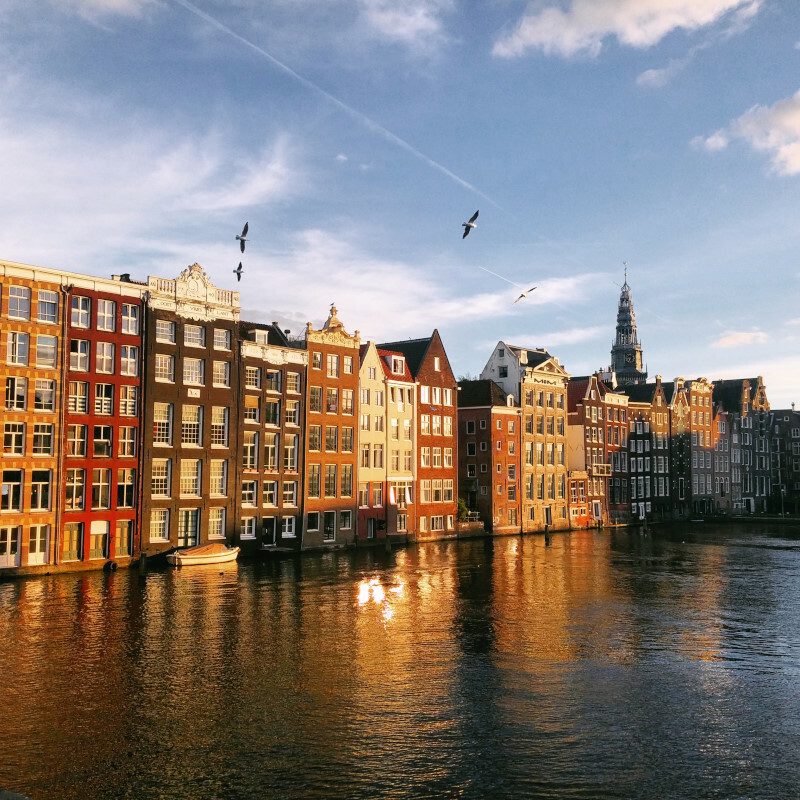 I started blogging in 2010 and shared my adventures in the Netherlands and abroad for the first time. It didn’t take very long to get hooked. I had just received my first DSLR camera as a birthday present from my parents and simultaneously discovered my passion for photography. We went on family trips in Europe and beyond and, of course, I always had to take my camera with me on the road. After blogging for a while, I received a ‘WordPress Freshly Pressed’ status in December 2011 and June 2012. I started getting views and comments from people all around the world. That’s when I realised that anyone could start their own platform and reach others with their personal stories, which motivated me to keep on going. Now, I can’t imagine not having this creative corner on the internet to connect with (hopefully friendly) strangers like you! Then it was time to grow up and head off to university. 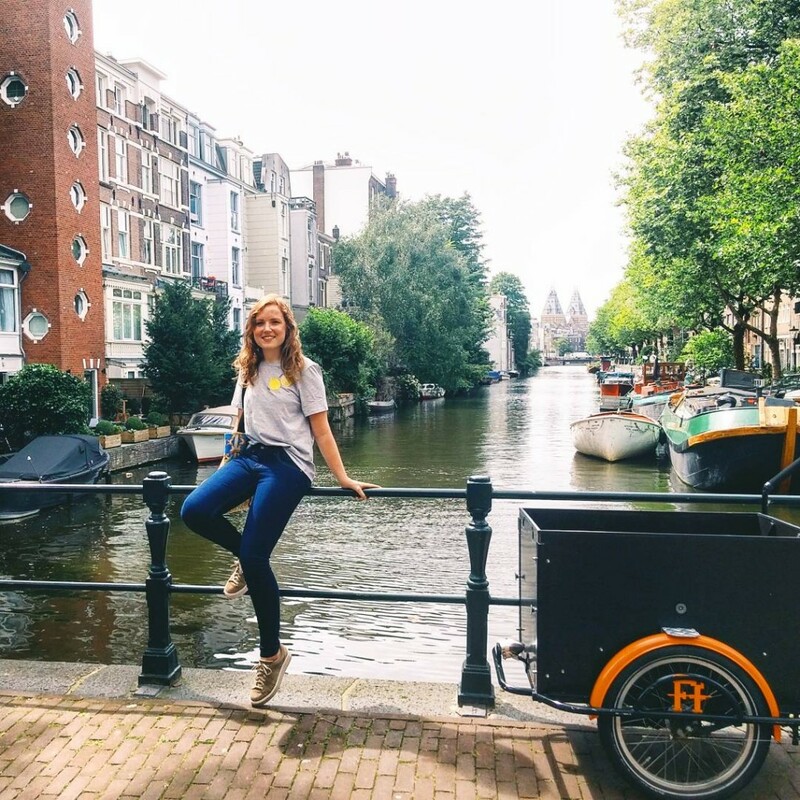 I moved from Breda to Amsterdam and obtained my Bachelor of Arts in June 2015 by studying Liberal Arts and Sciences at Amsterdam University College (AUC), majoring in the Humanities. I mainly focused on topics in digital anthropology, new media, and visual culture. I wrote my thesis about mobile snapshots and their influence on traditional ideas about photographic time and space. That summer, I attended the Beijing Normal University Philosophy Summer School in July 2015, and it was one of the best experiences of my life! In September 2015, I was honoured to be one of the first student speakers at the Magna Charta Universitatum annual conference in Bologna, Italy. Then I hit the first season of my quarter life crisis series and couldn’t decide what I wanted to do next. 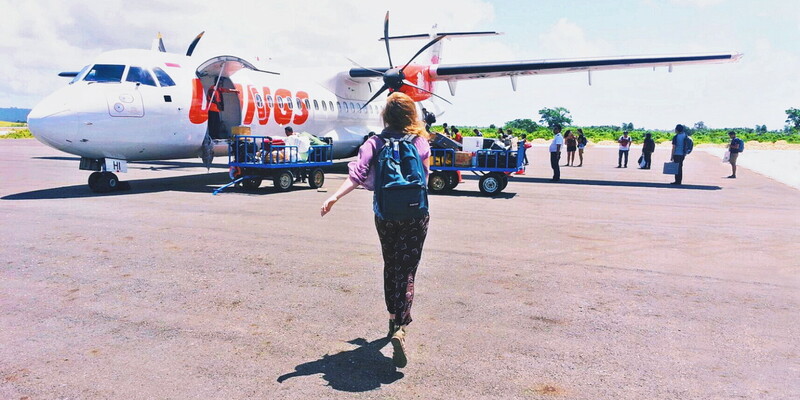 I was pretty sure that I wanted to continue my university studies, but I also wanted to see more of the world and escape the classroom before I became a ‘real’ grown-up (spoiler alert: that never actually happens). I decided to take a gap year to figure it all out, before I went back to university. While I worked a few part-time jobs to pay for my room, I connected to the We Are Travellers team and went on my very first press trip. I was absolutely fascinated by the whole experience. More press trips followed and I slowly morphed into one of those millennial travel bloggers that use way too many hashtags in their caption. I spent the summer of 2016 going on even more adventures. But, as I had promised myself, I returned to the University of Amsterdam to become a cultural analyst. Of course, tourism is fun, but what truly intrigued me was understanding how cultural processes shape our lives and societies. I realised my passion for travel came from this same fascination: the places where we live have an enormous influence on the way we think. The way we think determines the way we behave and build our cities. And travelling might just be the best way to encounter other ways of thinking. I realised my passion for travel came from this same fascination: the places where we live have an enormous influence on the way we think. The way we think determines the way we behave and build our cities. Naturally, traveling is the most inspiring way to encounter other ways of thinking. I recently graduated and currently live in Amsterdam, mostly working as a freelance content creator and photographer. I identify somewhere in-between a cultural analyst and travel writer and recently founded Globonaut, an open storytelling platform where a crew of curious explorers share their ways of seeing the world. We would love to hear yours too, so do check it out! Thank you very much for visiting and don’t hesitate to connect! Hi Rosalinde, Your site is so lovely!! How much fun it must be to explore new places!! Have a wonderful day! Thank you for stopping by and leaving a comment, hope you have a great day as well! Hello, Rosalinde! I love your site. I love the color and the contents and the way you present yourself. Keep it up! Thank you very much Cathy, that’s so nice to hear! Lovely work. I have to ask about the rocks behind you in your masthead portrait: where is that? It looks like Joshua Tree in California. Thanks for visiting Wing\’s World, fellow traveler! Thank you very much, you have a wonderful blog yourself! Lovely blog, great write up and beautiful pictures. Thank you very much for your comment, love your blog too! Thank you, your blog is amazing too! You live in Nederland. Do you speak Nederlands? Goed… I can read in English but I am not so good in writing…kkk In het Nederlands vind ik makkelijker. Your photo on the header is gorgeous. Interesting contents and lovely blog design! Like your about you are beautiful and talented. Hey there – am I correct that you have a completely new design? looks great!! Beautiful blog, I love how you organized your photos with the travel map. Cheers! Beautiful blog!!! Your photographs make me feel like I’m actually there. Following. Thanks a lot PedroL 🙂 I’ll check out your blog too! thank you for your recent visit, likes and follow. i am delighted you like some of my work. its been almost 15 months since i started KAP and its only now that I got to know of your blog, and it is wonderful. thank you and have a good weekend. Hi Roselinde! Thanks for stopping by at my blog. I’m glad to have found yours, I love it. You have great content and design, and even better photography. Looking forward to reading more. hey roselinde 🙂 your pictures are just wonderful, i’m looking forward to see more! Nice use of the Zoren theme, especially your header! I need to keep playing with my layout to get it where I like it. Thanks for some inspiration! Just setting up my blog with the Zoren Theme. Because you are mentioned in “Awesome blogs using Zoren Theme” I wonder how you managed to set up your “Connect”-Widget? I can’t find a fitting one in the Widget list. Hey. I added links to a link category (which I named “Connect”). In the widget section, there should be a “link widget” and you’ll be able to select a link category to be displayed. Hope this helps! Thanks! I still have some issues with adding nice icons but I’ll figure that out. No problem! You can add images to individual links where it says “Image address”. I got that. But it look quite crab! Check it out (at the bottom of my sidebar). I should leave a message earlier. Your previous blog design with the typography menu is fantastic! I have actually pinned it in my pinboard. Until recently I created a post on “Ideas to customise your blog’s sidebar” and featured your design. You can see it at http://alittletypical.wordpress.com/2013/10/08/ideas-to-customise-your-blogs-sidebar/ By the way I like your blog header. Thank you! I’m probably going to add something similar to this theme as well soon 😉 You have a lovely blog by the way! You have a lovely blog here full of fabulous pictures and heartwarming expériences. We will be following with interest – you must grab your opportunities where you can and enjoy life to the full while you can. hey im new here and keenly following you. quick question, how do i link my pinterest to my blog? It’s a standard option WordPress offers. Just go to settings, then sharing and you should be able to add a pinterest button! Great use of the «Untitled» theme! You’ve been the main source of inspiration while setting up ours! Keep up the good work! Thank you! I love how your blog’s background gives a “transparent” effect, looks great! love your blog! Awesome work. Keep It Up. i like very much your blog! i want to follow you. see you soon!! Nice one Roselinda 🙂 or shall I say, “mooi gedaan”?